MANILA--Global Cebu now faces another crisis in their much-maligned 2018 season. After being pummeled by JPV Marikina by double digits just last Wednesday, the once-powerhouse of Philippine football now has sudden managerial vacancy after Marjo Allado abruptly left his post, just four hours before the wooden spoon of the PFL take on streaking Stallion Laguna in Carmona. 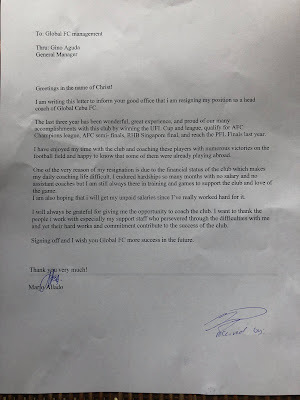 According to his resignation letter, the UST gaffer cited unpaid wages as his reason for his sudden departure as he was yet to be given for the past months. 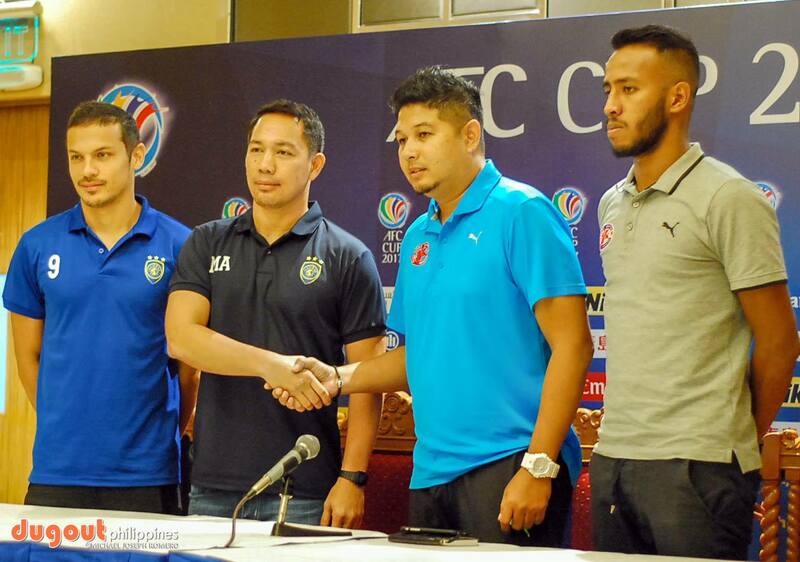 Allado himself was the club's ever reliable deputy and was first put in the hot seat after Toshiaki Imai left the club last season, before the Queen City side take on Home United in last season's ASEAN Zone semifinal in the AFC Cup. After the side's exit in that stage, he then managed a couple of matches in the PFL before being relegated back to the deputy role when Akbar Nawas was installed as its gaffer, in which he got the top post back right after the Singaporean left the side. This year, his double shifts with España Boulevard and Cebu became more prevalent, as his Growling Tigers came up just two goals shy of ending their UAAP title drought which they last won 11 years ago. As of this writing, no word yet from the Global Cebu top brass on who will be his replacement.